Australian scientists have reportedly discovered the oldest living organism in ~100,000 year-old seagrass growing in large patches in the Mediterranean. The seagrass, known as Posidonia oceanica, reproduces asexually, branching continuously — essentially cloning itself — and is thus able to maintain one protracted lifespan as opposed to sexually reproducing organisms which begin a new lifespan with each offspring. However, the scientists are worried about the long-term stability of the seagrass due to (guess what) global warming. Russian scientists, after a decade of extremely difficult drilling, have tapped a prehistoric lake submerged 2 miles below the surface of Antarctica. The lake, which has not been exposed to light or air for more than 15 million years, is of particular interest for its similarity to suspected water sources on Jupiter’s moons, and therefore may offer insight to the viability of microbial extraterrestrial life if any are to be found. An international team of scientists have recreated the mating call of a 165-million-year-old Katydid using very, very well-preserved fossils. A recent article from researchers at Yale proposes the next supercontinent, Amasia, will form around the Arctic Circle as opposed to one or another postion along the Equator, as prior simulations have hypothesized. The supercontinent won’t form for at least another 100 million years, during which time it’s predicted the human race will cease to exist so we’ll never really know will we. According to the back, this is a “least weasel” — it’s seven and a half inches long, weighs little over a pound, and is “one of the world’s greatest predators.” Further research led to the explanation that this means least weasels can take down rabbits 5-10x their body weight and their preferred part of the animal to eat is the brain. The word “weasel” comes from the anglo-saxon “weatsop” meaning “a vicious bloodthirsty animal” — I learned that also. However, it’s not the word “weasel” and its extra-cultural associations I’m interested in as much as it is the preceding word — “least” — which would seem to imply that the least weasel is yes, a weasel, but not as much as other weasels. Of course, “least weasel” is not its scientific name. 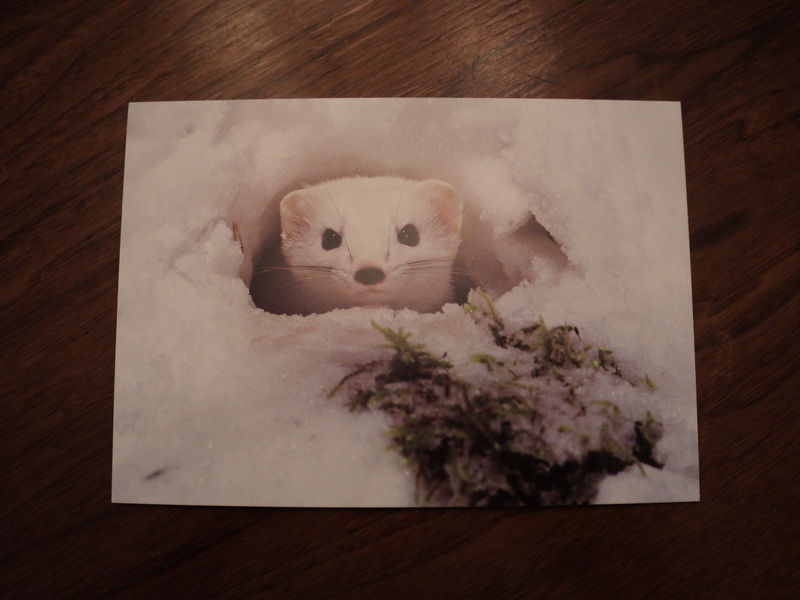 Its scientific name, in standard binomial nomenclature, is mustela nivalis — literally “snowy weasel,” descriptive of the white coat it dons in the wintertime. The name “least weasel” is what’s known as a common name, the way “human” is to “homo sapien,” and, as far as my research has informed me, the “least” part of its common name is solely a description of its diminutive size. The least weasel is the smallest member of the weasel family and the smallest predator in North America. Again, though, the word “least” is curious in its implication that there are other, more qualified weasels out there, that the least weasel somehow got the short end of the evolutionary stick. And yet, a study recently found that the least weasel has “ounce for ounce the most powerful jaws of any predator in North America,” thus, in at least this one way, it seems the least weasel might actually be the most weasel.